I've spent a number of posts in recent times focusing on more design concepts in The Shattered War and how I'm using principles to make sure it's a well-developed and interesting adventure. While this is interesting from a design perspective it doesn't really tell anyone what I've been doing to get the mod finished. So today... that's what I'm going to cover. First up, is writing. Writing, writing and more writing. Story and characterisation are very important to me when playing an RPG, so I make them a priority when making one. As such, I've been doing a lot of writing, covering the dialogue for major characters. This is a significant body of work, as there are several keys NPCs in addition to the four party members available in the game. You can expect party members to talk. A lot. To give you a sense of the amount of dialogue, second tier NPCs, which play a significant but not primary role in the story) have around 80-140 lines of dialogue. Primary NPCs are party members have in excess of 200 lines of dialogue, containing 4000 or more words of dialogue. Once these are written, they must be proofread and checked for consistency and clarity. Characters must be understood readily by players, so their language must not be ambiguous. After the dialogue has been written and checked, then the script to send to voice actors must be created. This involves an export into a text file, and lines are organised logically to provide context and background. Many lines must also have specific direction/commentary to give the voice actor the necessary emotion of character's thoughts behind their answer. The voice actor needs to know if someone is being serious, sad, determined, playful, or any other relevant emotion to direct their performance. If I don't provide this information, voice actors can have a difficult time trying to bring characters to life. I can't have these people being dull cardboard cutouts. Aside from that, there's dealing with the dialogue once I receive it. This involves making sure the volume is consistent across the recording and across characters, so particular lines or characters don't drown out others. There's also making sure that there's an appropriate amount of silence between sentences. This is relatively simple, but it is time consuming, and while it's not noticeable by players when they play the game, it's very noticeable if it isn't done. Even then, there's the final integration with the game itself. 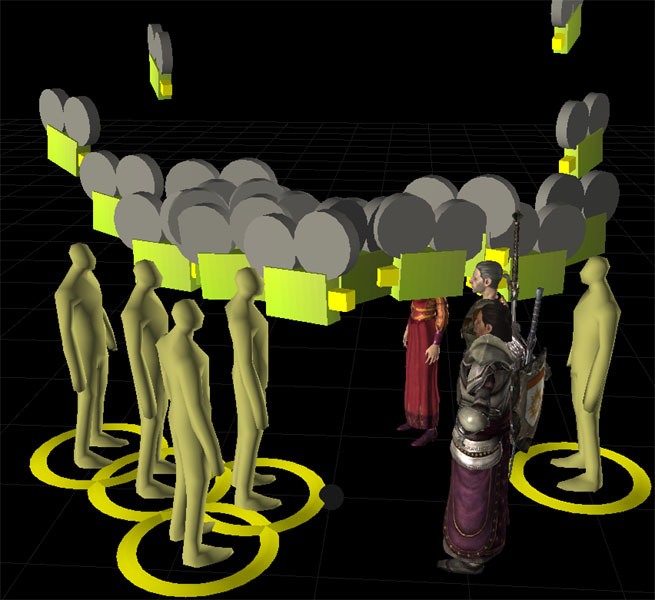 This includes: making sure the character staging is done correctly, that characters have appropriate facial expressions, that the same camera angle isn't used for too long, that camera cuts occur at appropriate times, and that the gestures that characters make match with the lines they are speaking. All these things are required to create and maintain an immersive cinematic experience. On top of all that, I have been doing some playtesting work, general scripting and plot/journal entry writing as well. There's also been some conceptual planning for the levels that I still have to create. This primarily consists of me doing sketches or overhead map drawing for the areas to plan out the structure of the level. My inspiration usually comes from various landscape images or places I've seen in person, combined together to create a brand new environment. 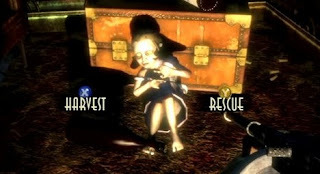 Of course, there's a healthy dose of pure imagination as well, along with general practical considerations to consider player movement and gameplay: avoiding backtracking, movement blocking during combat, texture/item/foliage pop-in, and so on. So there's a quick rundown of all the work I've been doing recently on The Shattered War. I hope it provides some insight into the amount of work that is required, and what I'm doing with all the time that I've been spending on the project. One thing I've really tried to do during the development of The Shattered War is to pose players with difficult choices. The adventure is aimed to give the player every ability to make meaningful decisions and have those come back to affect the events that follow on. So in today's post, I want to talk about how I'm doing that. The first point that I want to make is that decisions will affect that the way others interact with the player. 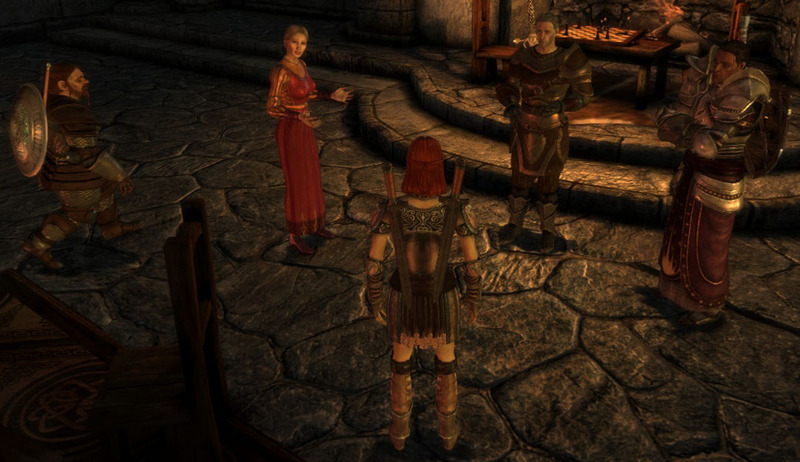 Decisions will be reflected in small off-hand comments made by NPCs about past events. They will make a quip or jibe based on decisions, just to reinforce to the player that their decisions have been noted. While this is subtle, it help inform the player that their decision has been noted, and leaves them wondering "what if I'd made another choice?" Events turn out differently based on your choices. It's that simple. People could die, and almost anyone is fair game. From very early on in the game, the player could kill off NPCs or potentially pit them against you. They might have offered the player help which would provide assistance (potentially money, items, or even make a battle easier) for the future, or they might make the player's life more difficult. Again, they could simply just be dead entirely. No replacements issued. Some key NPCs. You might kill any or all of them based on your choices. Not every decision will have immediate consequences, and I feel this is one of the more important factors to making meaningful choice. The potential drawback here is that it means that players might not necessarily know the cause of a particular outcome, but the small details and comments will help overcome that in a way doesn't break the Fourth Wall (See The Witcher for example of how not to do this). This means that player don't simply get to a make choice and find out what happens, which means that players have the option of a decision then immediately replaying the last five minutes to see whether they like the other outcome better. The other potential problem here is that players may be making a decision but not realising that they are making one. This is something that I'm not really going to apologise for, because then I'm aiming for those "real ramifications" that really hit the player hard and show them that their choices to help or not help people have consequences that they may not have intended. Not all outcomes are affected by a single decision. People and events aren't simple. One single decisions should not make or unmake key aspects of a game, just as they do not in real life. 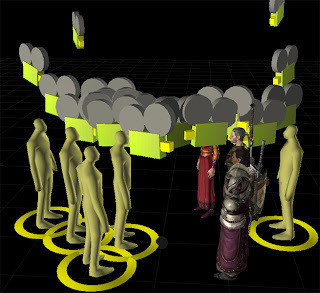 The opinions of others about the player are formed over a series of decisions, which will eventually influence their overall attitude to the player. The same is true of battle-related decisions. The collective effect of multiple decisions will be used to determine the outcome of key aspects of the game. Just because you turned your back on someone when you first met them doesn't mean that they should despise you forever, even though in some cases that may be true. Once again, the key aspect I want to reinforce in The Shattered War is that the player will be driving their adventure, potentially from decisions they don't even realise they are making. The outcomes may not always be happy, but they come from the choices that the player makes. The greatest trap that many developers seem to fall into is the concept that the player must decide the ending. Now, I'm a firm believer in allowing the player to make decisions and to have those decisions affect the outcome of the game, however, there is a time for the player to make those decisions. The key thing to remember here is that in the majority of cases, the time for the most important decision is not right at the end of the game. This isn't to say that there shouldn't be some kind of ability to make a decision at the end of the game, but this should not be the primary decision point. Let me reiterate this point: the player should not be making the overriding and ultimately game-changing decision in the last five minutes of the game. Certainly, a very significant choice right at the end of the game is great. In, Alpha Protocol, deciding to side with the final antagonist or go against them is a significant point. 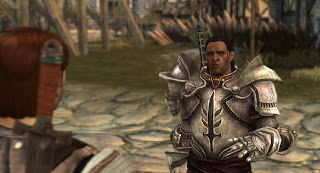 In Dragon Age: Origins, deciding who will deal the killing blow to the Archdemon and hence die is a significant choice. However, in both of these cases, previous choices affect this outcome. In Alpha Protocol, the final enemy in the game varies based on decisions that you've made earlier. That's right, the final boss changes based on previous choices. 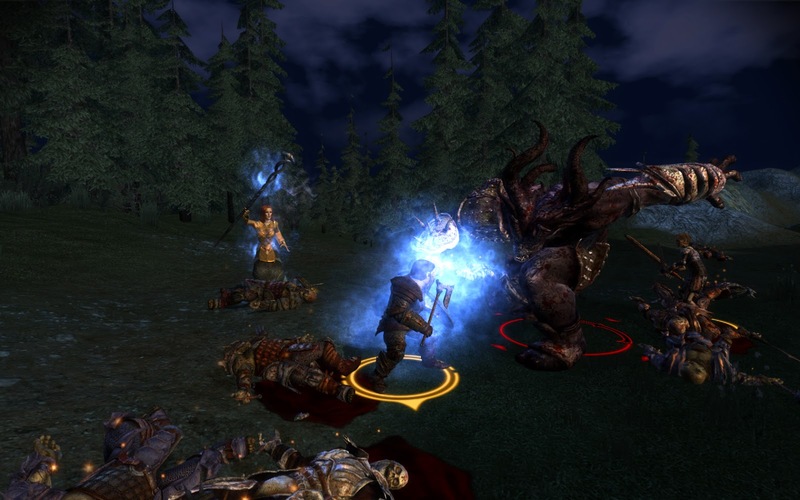 In Dragon Age: Origins, the person making the killing blow doesn't have to die if you've performed a magic ritual (with suggested bad consequences) earlier in the game. These games have decisions at the end, but they are not the be-all and end-all decision. This concept has been overlooked by many designers in recent years, and I'm certain that you can quite easily think of one or more titles that have this approach. Now, this isn't to say that this is always equivocally bad, but it is very challenging for it to fit thematically with a game, and for it to happen in a way that doesn't make the player feel like they've been cheated. If the player has had decisions to make before this point, such an ending largely invalidates the meaning of all those choices, making the journey (which some would argue is more important than the destination) pointless. Again, there are some cases where this kind of end-game decisions does work, but these are rare games, typically ones that have a significant philosophical thematic focus during the rest of the game. I'm not going to point the finger at games that have made errors in this area, but it's a worrying trend that has been showing up more and more. From a personal perspective, I'm making certain that I will not include this shortcoming in any of my creations. The Shattered War will feature decisions throughout the entire game which will ultimately affect the final stages of the player's journey and its ultimate conclusion. Frequently, the most cohesive ending that makes the player feel like their story is complete is to have the end of the story play out logically without any overarching decisions that invalidate previous choices. When players finally discuss the ending with their friends who made different decisions, that's when they'll realise the effects that their choices made. That will provide them with the inspiration to go back and play the game to see how things could have turned out differently. It's time to meet another character from the cast of The Shattered War. In today's post, I'll introduce a key NPC from the adventure: The Templar Commander Farouk. Farouk was born into a Chasind family, but his the rest of his family was killed by The Chantry under suspicion of being apostates. In an act of kindness, of the templars rescued him, for he was just a young boy at the time. As a result, he was raised by the Chantry and soon led into the life of a Templar after becoming a devout follower of the Maker. He does not consider himself one of the Chasind people, and is grateful for path his life has taken. "Templars act to protect the safety of everyone, and sometimes that means making hard decisions in an instant. 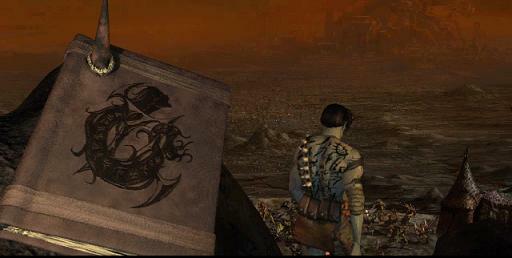 The Chantry trusts us with that power, with that burden." He takes his duties as a templar very seriously, and rarely engages in humour. He is greatly distrustful of any mages outside of his jurisdiction, particularly Dalish elves, but is even suspicious of Grey Wardens who are also mages. He does not hate apostates, but will attempt to bring them to the Circle/Chantry in order to fulfill his duty. While he has no love for mages and does not trust them, he does not wish to chain them up, and finds the Qunari treatment of mages distasteful. However, if a mage was deemed to be a maleficar, he would see them killed instantly. 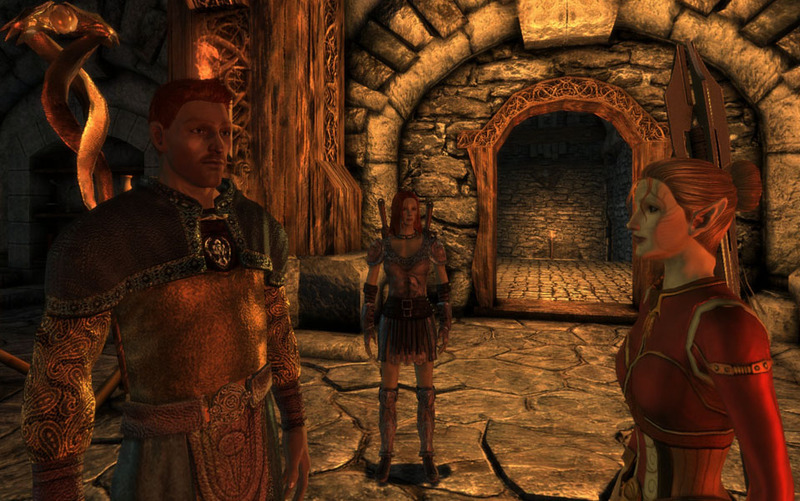 "Rest assured that the Chantry recognises those who follow their duty." 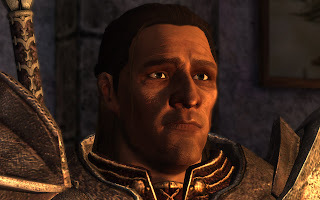 In the Shattered War, Farouk is responsible for the templars within Fort Velen, and is responsible for overseeing mages who are part of the militia force. While he shares the same rank as Norvac, he makes no claims for seniority, as he recognizes Norvac's greater experience in conducting military operations.